Grassform have just finished installing a huge 2000m temporary roadway through a very remote access track in an SSSI Sanctuary. Grassform have just finished installing a huge 2000m temporary trackway through a very remote access track, to allow heavy good vehicles to enter the grounds and do surveying works on behalf of the local ecologists. 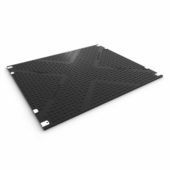 The Trackway will protect the ground from damage whilst allowing safe passage for vehicles at all times. As this is a SSSI site, it consist of several endangered species and the joy of our systems is that they do not harm the habitats of those living here in any way, like a stone road would for instance. 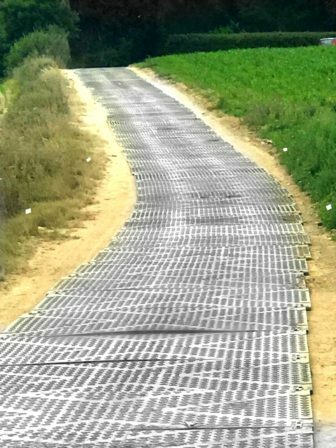 Whats even better is our Trackway panels are made from 100% recycled HD plastic materials and are perfect for remote locations like this! The temporary roadway will remain in place for several weeks now and will have vehicles as heavy as 100 tonnes driving over it on a daily basis!